Nadi is a beautiful city located on the main island of the Fijian Republic. The city is considered as a main transportation hub of the South Pacific country. The population of the city is estimated to be around 50,000 in the year 2012. The city comprises of mostly Indians and Fijians. This is also reflected in the Hindu temples located around the city.The most popular temple in the city is the Sri Siva Subramaniya Swami temple. The city is a unique blend of cultures and the overall image is influenced by the Hindi population. The city is also famous for the natural and exotic tourist destinations located in the outskirts. The Sleeping Giant Garden filled with hiking trials and orchids provides the visitors with a perpetual and memorable adventure. Furthermore, the Denarau Island is another popular area located in the city providing the visitors with a golf course, marina, and an upscale resort area.The beauty of the city forces one to stay as long as they can.There is a famous saying in the city that whoever comes to the city for the first time will definitely visit it twice. 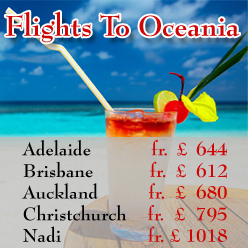 Therefore, Nadi is considered to be the best tourist attraction in the entire Fijian Republic. 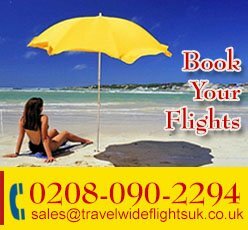 We at TravelWideFlights are offering cheap flight deals to Nadi from London - United Kingdom with guidance and assistance on the travel plans of our customers. 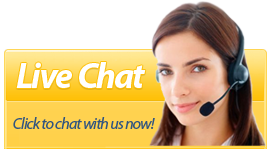 Our team also specializes in bookings and reservations in the most luxurious resorts in the city. The Airlines traveling to Nadi are some of the most popular Airlines of the world including British Airways, Singapore Airlines, Etihad Airways, and Emirates Airlines.